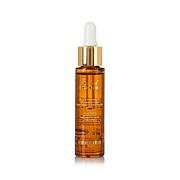 In the evening, apply the light serum-like formula all over clean face and neck as desired. 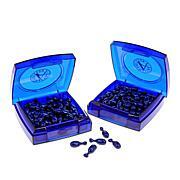 Concentrate can be worn alone or layered under a moisturizer. Store this product inverted on its cap with pump facing downward. Dispense product with pump in the downward position. 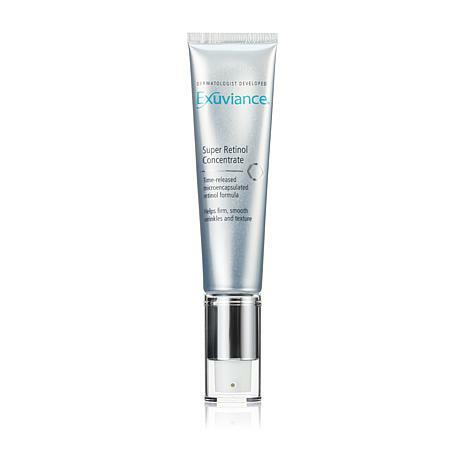 Super Retinol Concentrate is the highest-strength retinol formulation in the Exuviance line. 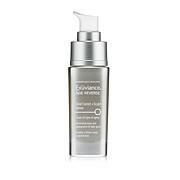 For sensitive skin, begin use twice weekly, working up to daily use at nighttime as tolerated. Ingredients: Aqua (Water), Dimethicone, Cyclopentasiloxane, Polysilicone-11, Glycerin, Butyloctyl Salicylate, Acetyl Glucosamine, Silica, Nylon-12, Cyclohexasiloxane, Tocopheryl (Vitamin E) Acetate, BHT, Retinol, Arginine, Citric Acid, Isohexadecane, PEG-10 Dimethicone, Ammonium Polyacryloyldimethyl Taurate, Bisabolol, Polysorbate 20, Allyl Methacrylates Crosspolymer, Polysorbate 40, Hydroxyethyl Acrylate/Sodium Acryloyldimethyl Taurate Copolymer, Sorbitan Isostearate, Polysorbate 60, Disodium EDTA, Xanthan Gum, Caprylyl Glycol, Phenoxyethanol, Chlorphenesin, CI 19140 (Yellow 5). Id been looking for a good anti-aging product with retinol, tried a few until I found this-my new holy grail. Its not harsh, and seems to be preventing fine lines and wrinkles. 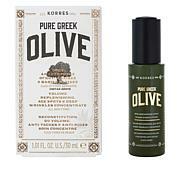 My skin feels more supple and smooth-extremely happywith this and will repurchase.